Using coordinates it is easy to see that the definition is equivalent to the usual one. Indeed, if we let $O = (0, 0)$, $F = (0, f)$ for some $f > 0$ and $P = (x, y)$, then the given equation simplifies to $x^2 = 4 f y$, which is precisely the equation of the parabola having focus $F$ and vertex $O$ as it is usually defined. As it is written, the equality seems to say that a certain rectangle (or maybe parallelogram?) has the same area as the square on the line segment $OP$. I have noticed that $FP - OF$ is the distance from $P$ to the tangent line to the parabola at $O$, but I don't know what to do with $FP + 3 OF$. The equality can be rewritten as $$OP^2 + (2 OF)^2 = (FP + OF)^2.$$ Now it looks as though it could be proven using the Pythagorean theorem. But I haven't been able to draw a triangle having sides $OP$, $2OF$ and $FP+OF$ so that it can be seen that it is indeed a right triangle. Not the answer you're looking for? 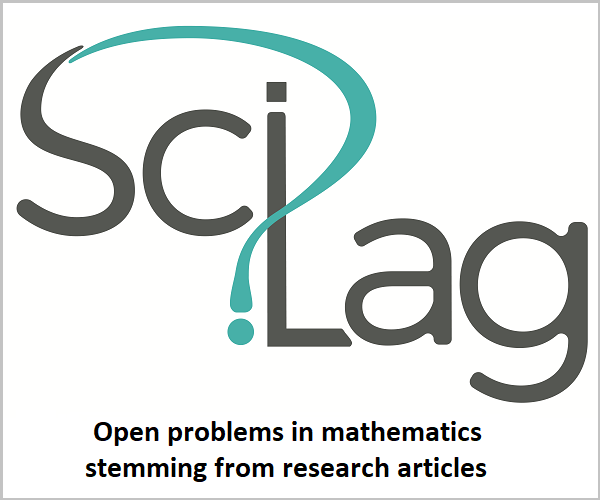 Browse other questions tagged geometry conic-sections locus or ask your own question. Why loci of conic sections are defined in the way they are? 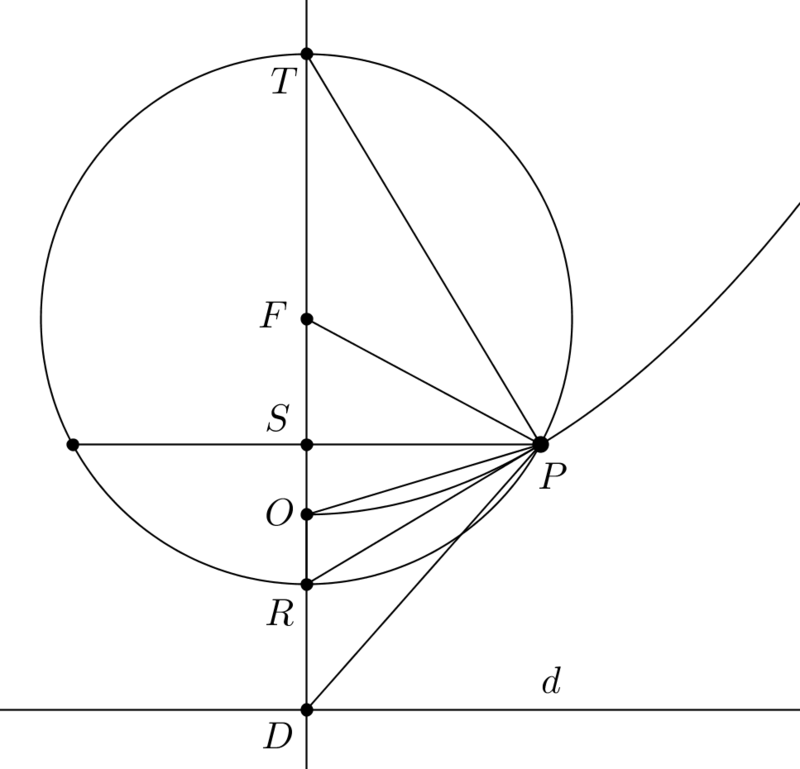 Locus of points of intersection of normals of two points on parabola $ y=x^2$?